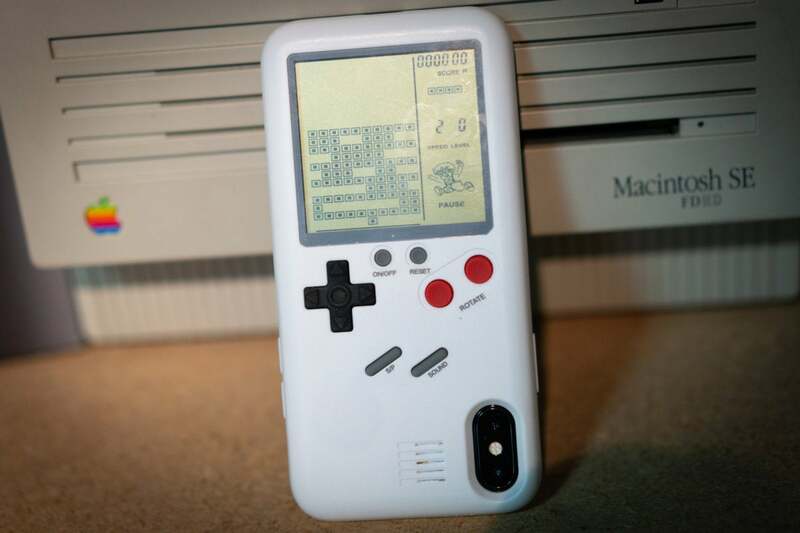 It certainly looks like a Game Boy, but the games are simple and the case offers only partial protection. So I’m reaching in my pockets for my AirPods on a train stuffed with grumpy San Francisco commuters, and in the process my keys jostle against my iPhone. The horror, I know. 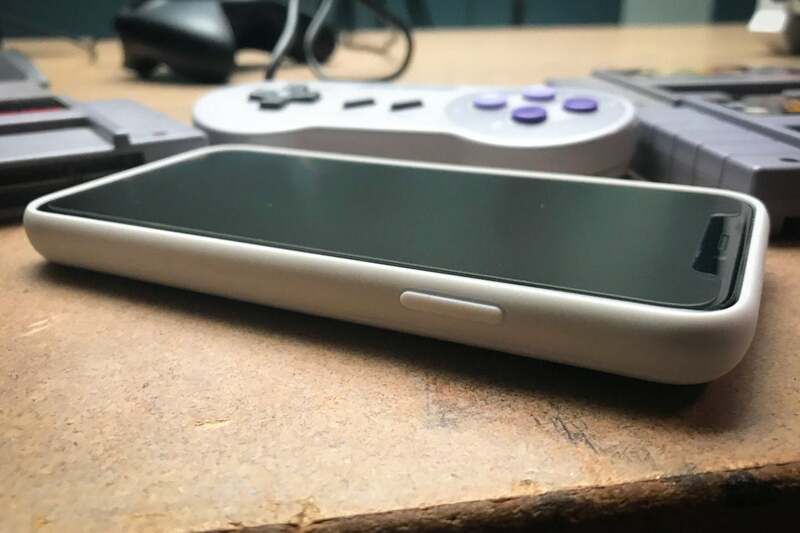 Thing is, my iPhone X is encased in the Wanle Gamers Console For iPhone, which makes my handset look as though it’s cosplaying the Nintendo Game Boy from 1989. The keys accidentally hit the on/off switch. That makes the first 30 tinny, electronic notes of Beethoven’s “Ode to Joy” burst from the case, even above the clacking rails and roaring echoes. Around 20 pairs of eyes swivel to me as I fight to turn it off, and when I do, I accidentally make it play the startup jingle again. I admit I picked up the Wanle case seeking attention of a sort, but this wasn’t exactly what I had in mind. And so it goes with this novelty case. Available for every iPhone model from 6 to X, it’s undeniably a conversation piece, although experience tells me that some of those conversations might occasionally involve someone sternly telling you to shut up. From what I can tell, the “Sound” button doesn’t actually silence the case, which means you should never expect to play the 27 games packed within while you’re in a hushed reception room or waiting for a movie to begin. It might start chirping when you slip it in your pocket or when you hold the phone the “wrong” way when making a call. In the right circumstances, though, it’s kind of nifty. Wanle’s case almost looks like a Game Boy from a few feet away, right down to the yellow-green display and the two jauntily slanted gray buttons perched below the directional pads and action buttons. You have to flip your phone upside-down in order to play it—as the rear camera hole would get in the way of the Wanle case’s screen if held normally—but otherwise that’s all it takes to start enjoying the games. The only real setup involves slipping one of the two coin-sized batteries that come with the package into the case, attaching the case to your phone, and hitting the power button (and then listening to “Ode to Joy”). That’s basically Frogger, believe it or not. 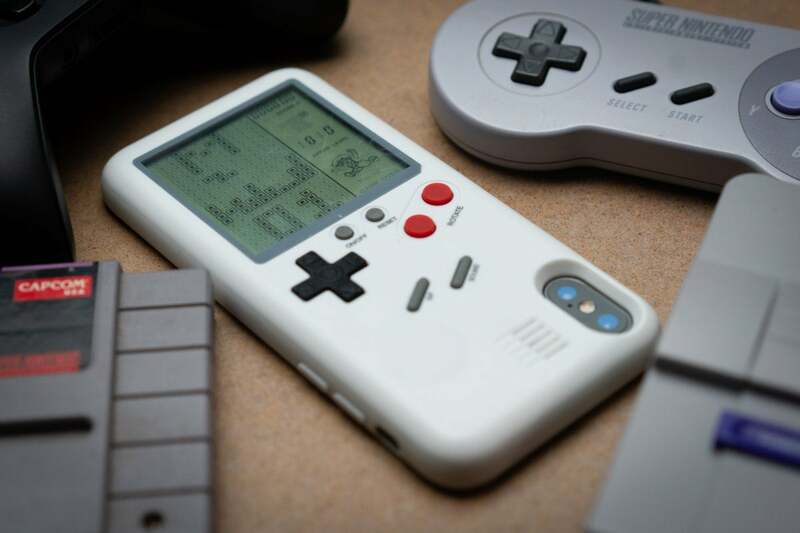 Just don’t expect a Game Boy-like gaming experience with its $80 price tag. It may look like a Game Boy, but Wanle’s case has far more in common with the little one-off handheld games Tiger used to sell at Walgreens in the 1980s, where the basic action and graphics barely changed and you sometimes had to use your imagination to get the most of out if. In other words, if you’re planning on slapping down cash on this so you can play Game Boy classics such as Super Mario Land, Gargoyle’s Quest, or Battletoads, you’ve seriously got the wrong idea. The Wanle case’s screen looks to simpler times, in stark contrast to the iPhone’s retina screen and TrueDepth camera that scans faces and lets you play Fortnite. From a distance, in fact, you could easily mistake almost all 27 Wanle games for Tetris. It’s all so abstract that it’s not always clear which game you’re playing. That’s partly because the games don’t even have names. Instead, each game corresponds to an arbitrary letter of the alphabet and you need to scroll one at a time to select one. As you scroll, the bricks at the top rearrange themselves to resemble a letter while the ones in the middle act out a preview of the game you’ll play. Meanwhile, the bricks at the bottom spell out the level you’ll start at, which can be changed by pressing the left or right buttons on the D-pad. Somehow, the system manages to be simple and confusing at the same time. If the other games feel too wonky, you can always fall back on Tetris. I scrolled to “E” to find the Frogger knock-off, in which I maneuvered a single block through rows of moving bricks. The letter “D” let me play a Galaga clone, although I had to imagine the missiles since they didn’t show up on screen. Games I-Z are all variants on Tetris, ranging from the standard tile-matching puzzler to one that made the stack of blocks move to the right every few seconds. 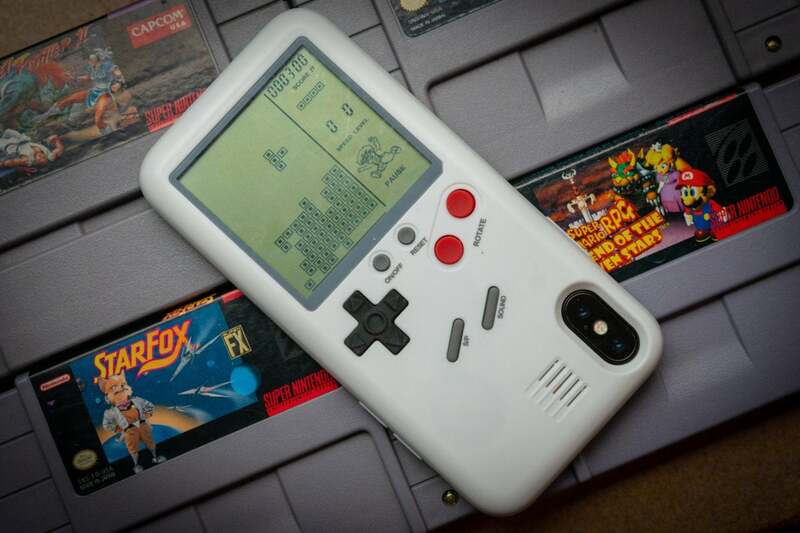 While it might protect the back, however, I wouldn’t put too much faith in this case as a defender against shattered screens. Since the case rests flush against the front of the phone, so there’s very little protection against dreaded display-down drops. And considering that the iPhone’s display actually faces the pavement when you’re playing the case, that’s more than a little terrifying. One careless drop in a moment of frustrated gaming, and boom, there’s a $279 screen repair on your hands. The case doesn’t extend far past the display, which means you’ll likely be in trouble if your phone hits the ground screen-first. But in certain, specific instances, it’s a case I’d like to use. When I’m out with friends and that inevitable moment comes up when I whip out my phone to check the time or take a photo, I’m almost certain one of those friends is going to notice it. In fact, I’m almost as certain that one of them will want to talk about it and probably want to give it a try. Though if I’m being honest, I’ll be watching them closely the whole time to make sure they don’t drop it, which kind of defeats the purpose of it being a case. Should you buy a Wanle Gamers Console? The Wanle Gamers Console is too prone to making noises at inopportune times for use as a daily carry, and its dicey display protection makes it a dubious candidate for protection. Still, it does a remarkable job of looking like a Nintendo Game Boy and the games, while simple, are fun and varied. I wouldn’t recommend dropping $80 on it at full price, but if you grab one during one of its many $25 sales, it’ll make a fun conversation piece for parties or outings with friends.